Iceland, a country famous for its stunning scenery and glaciers, has made headlines continuously in recent years as it grappled with a growing overtourism problem. The demise of WOW Air this week, however, may end up playing a significant role is easing those challenges. By many accounts, the airline was key to the country’s tourism boom, helping Iceland to recover from a significant financial collapse more than 10 years ago. Now, according to a new report from Bloomberg, Icelanders are assessing just how significant the fallout will be from the airline’s announcement this week that it has ceased operating. Some are predicting a bleak future for Iceland’s tourism industry, that includes a potential GDP drop of as much as 2.7 percent. That says, Bloomberg, would be a terrible hit for an economy that’s already experiencing a sharp slowdown and is also facing threats by restive labor unions. Iceland’s currency already plunged as much 1.4 percent after WOW Air made its announcement. Tourism accounts for 8.5 percent of Iceland’s economy, employing 30,000 people. 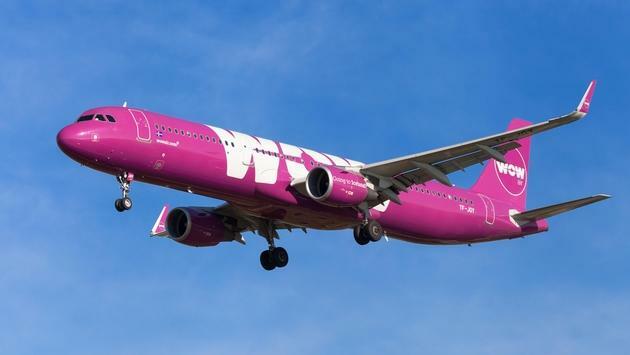 Stefan Broddi Gudjonsson, head of research at Arion bank, says the WOW Air failure could cause tourist numbers to drop by as much as 16 percent. “We expect this may put pressure on the krona, inflation, employment, housing prices and so on,” said Gudjonsson. Visitors to Iceland were already set to drop this year for the first time in a decade, according to the operator of Keflavik International Airport. Yet another result of the airline’s closure - 1,100 WOW employees lost their jobs. That figure represents the biggest number of jobs lost in a single day in recent history for the country. Still, more employees in the country’s broader tourism sector are also expected to be out of work as a result of the airline’s failure. Iceland’s government has now activated contingency plans and issued a statement seeking to offer reassurances about the consequences for the local economy, according to Bloomberg.